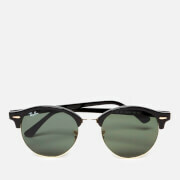 Encapsulating the ultimate retro look, the men's ‘Lucho’ sunglasses from Tom Ford feature gradient tortoise shell acetate frames and a classic rounded shape. 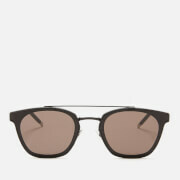 Inset with anti-reflection, brown Roviex lenses, the sunglasses are detailed with gold-tone T logos to the upper frame. Complete with branding to the tips of the arms. Presented in a branded glasses case. 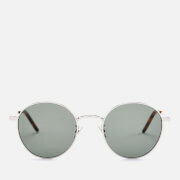 Frame: Acetate. Lens: Roviex Mineral. Eye Width: 49mm. Bridge Width: 21mm. Temple Length: 145mm.